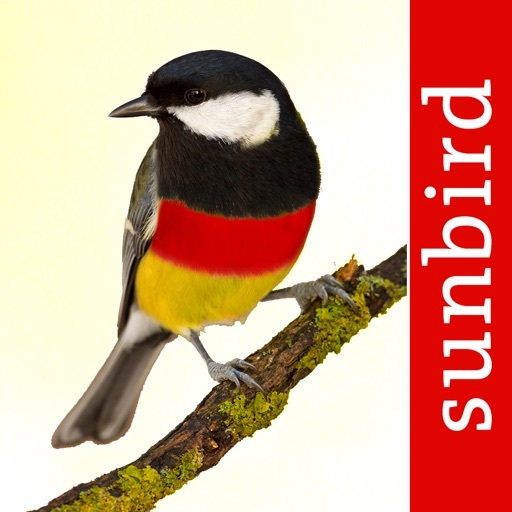 It has been developed by passionate field ornithologists and published ecologists. 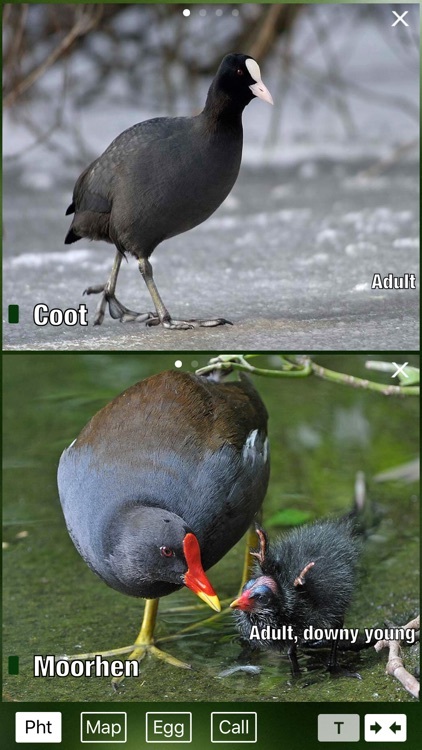 Despite the abundance of species provided: in order to precisely identify a bird no previous knowledge or ornithological expert skills are required. Use the COMPARE FUNCTION to choose up to eight species on the iPhone and up to 16 species on the iPad for direct comparison. 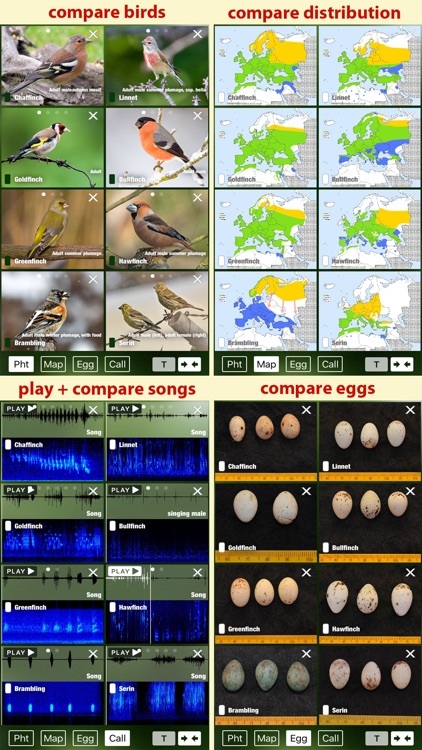 You can compare images, distribution maps, eggs, and bird songs. Appearance, ecology, population size, frequency, habitat and much more. The texts for this app have especially been written for Germany. This holds for population size, abundance, breeding status, local distribution etc. 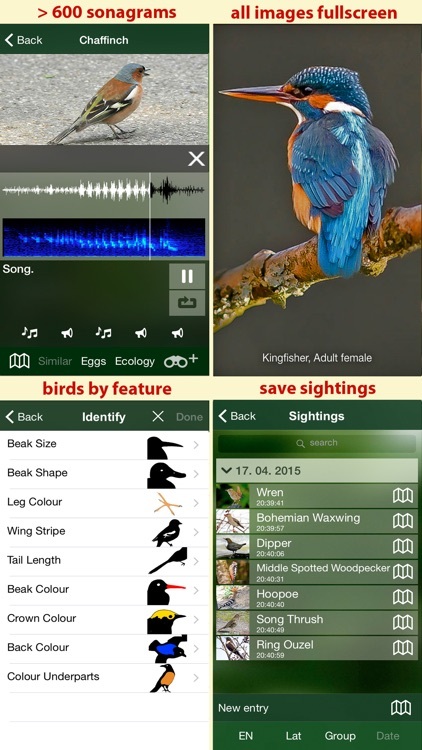 – Extensive descriptions to every species with 25 sub-features each! 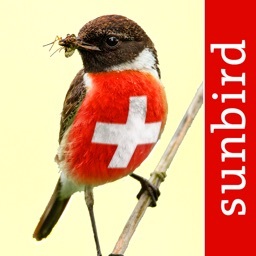 “Birds of Germany” is very well suited for keeping personalised bird watch lists. 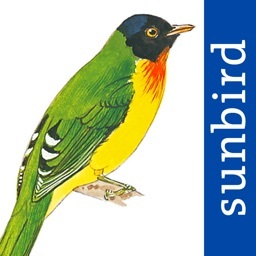 Of decisive help here are the qualitatively high-class large-scale images which show all bird species in their natural environment and, amongst others, originate from renowned photographers of the wildlife agency SUNBIRD IMAGES. 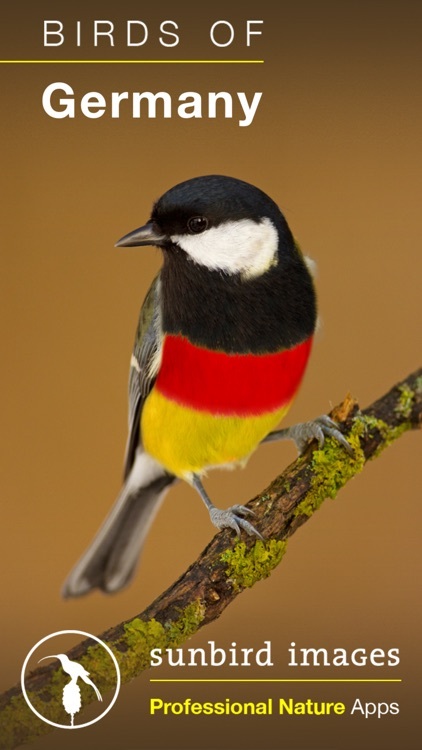 The pictures have been chosen from thousands in order to allow the most reliable identification of the birds. 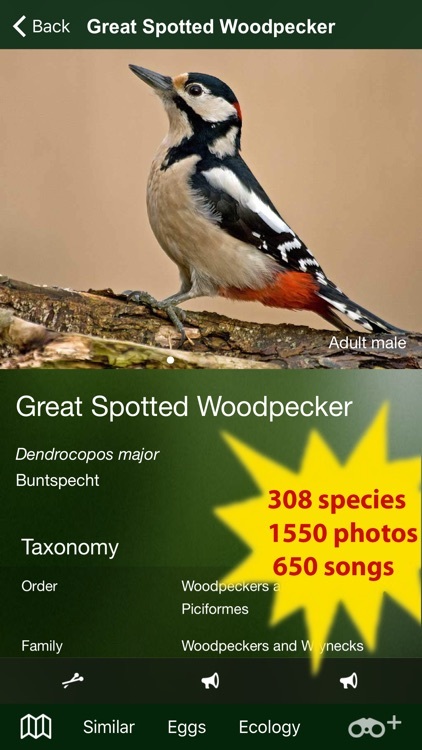 The choice of photos is essential for identification: Bird pictures which only show the bird from front, like it is the case for many of the sloppily developed apps on the market, are of little use for birders. 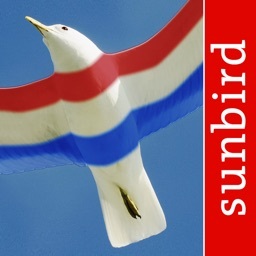 The app will be continuously developed further. In the future, more photos and songs as well as new identification features will constantly be added. All updates are free of charge. 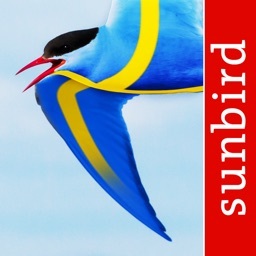 Once downloaded no internet connection needed – just download the app and start birding!